We saw lots of OZ people, current and former, at a yahrzeit shiur a Alan Nussbaum's apt. in Yerushalayim and they all send warm regards. Despite the way the news is reported in the US and the EU, the country is calm and daily life hums along. You won't hear much in the media about any provocation against Israel, only Israel's measured response, which is always reported in an exaggerated manner. It's frustrating here , but I tell you first hand, that Israel does seem to be achieving some degree of what they call "Normaliyut". Even the Gaza border is settling down. I see beautiful signs of coexistence of broad swatches of Jews in Netanya. The town square, which is a veritable hot-spot of boisterous activity every night is rather quiet, as Tisha B'av approaches. The Mayor of Netanya is a Beis Ya'acov graduate.and the beaches somehow find room for every type of Jew. Public bathrooms have washing cups and Asher Yatzar signs outside the door. Emergency rooms on Saturday night and Sunday this week have cups and juice ready for people who wish to make Havdala if they have to break the fast. Only in Israel. 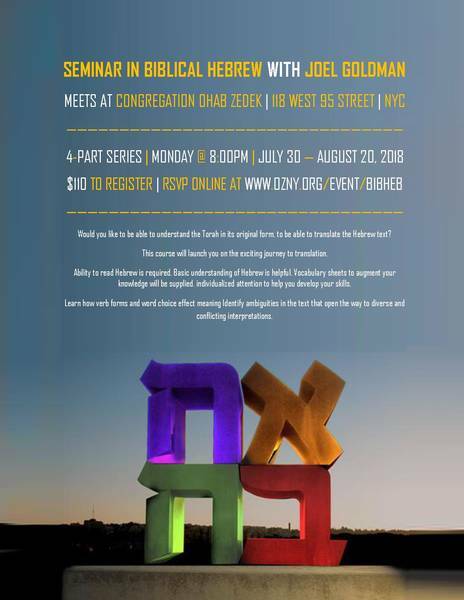 Please join me in thanking Rabbi Eliyahu Teitz, Rabbi Jack Verrone, David Israel and Yoni Zolty, together with all the regular shiur instructors, for ably pitching in the next few weeks at OZ. I wish everyone an easy and meaningful fast. There are no food restrictions in the meal before the fast. We may have meat and wine and any number of dishes. We may eat in a large group and bench with a Mezuman. No special symbolically mournful foods need be eaten. The meal should be concluded before sunset, which is at 8:21 PM. 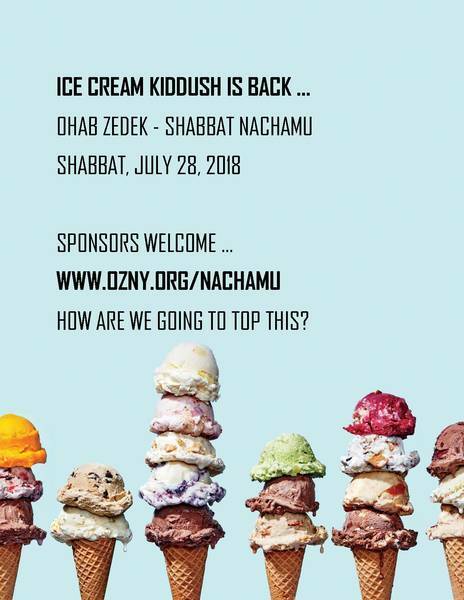 There will be an early Mincha at Ohab Zedek at 5:00 PM to facilitate the timing of this meal. 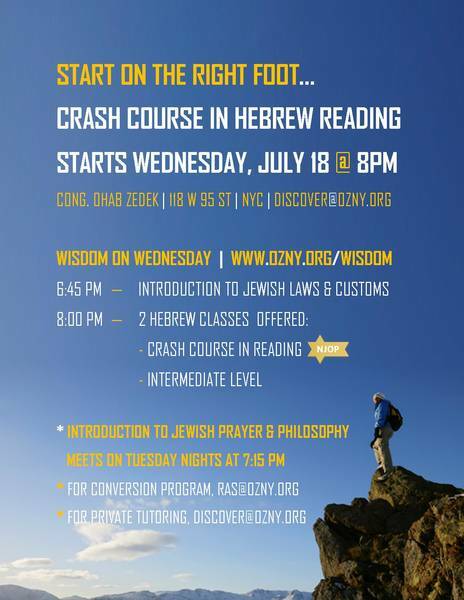 Ma’ariv will begin at 9:10 PM. Shoes to be worn for Tisha B’Av should be prepared before Shabbat. If one forgot to prepare shoes in advance, verbally recite Hamavdil Bein Kodesh L’chol at 9:00 PM and wear them to shul. 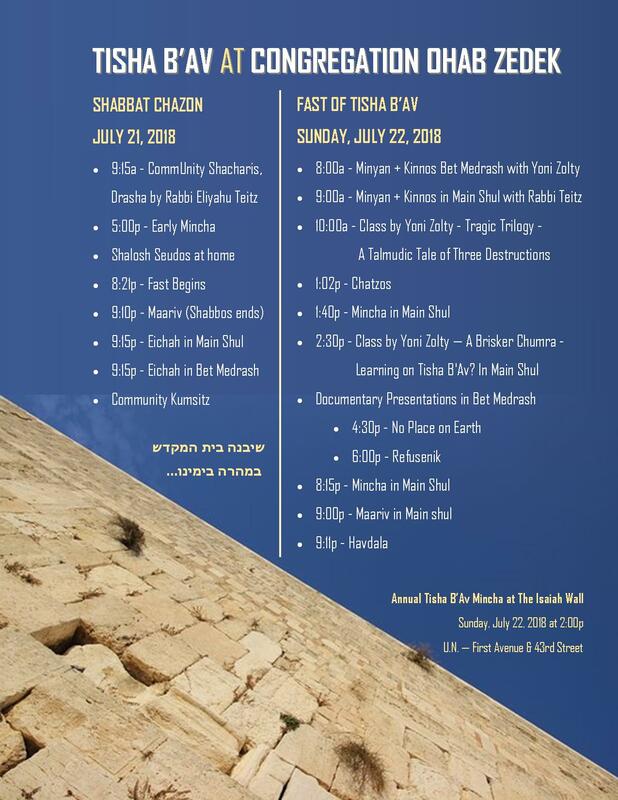 We recite Ata Chonantanu in Maariv, but we do not make Havdala until after the fast. No work should be done until after Ma’ariv or reciting Hamavdil bein kodesh l’chol. The only part of Havdala recited on Motz’aei Shabbat is Borei M’orei Ha’eish, preferably before Eicha. If one must eat or partake of a drink other than water or seltzer during the fast, Havdala should be recited first, but Havdala should not be over wine or grape juice. This Havdala begins with Shehakol and skips B’samim. After the fast we may not eat before Havdala, which begins with borei pri hagafen and skips B’samim and Eish. Ata Chonantanu is not recited in Ma’ariv after the fast. 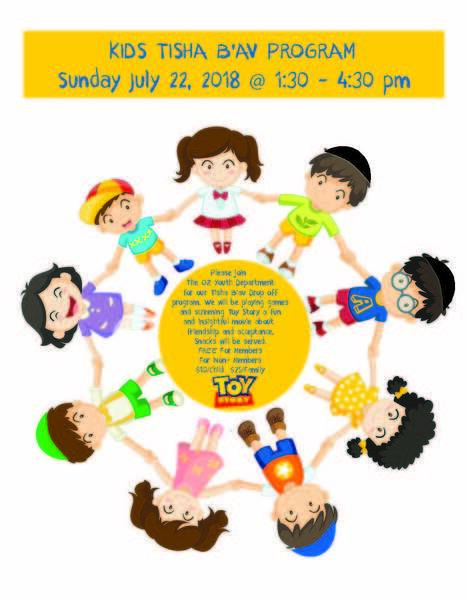 We will say Kiddush Levana on Sunday night.